I'm back with yet another holiday card that I created with everyday supplies. This time I turned to my Doodlebug Petite Prints and my Spellbinder Heart Dies. 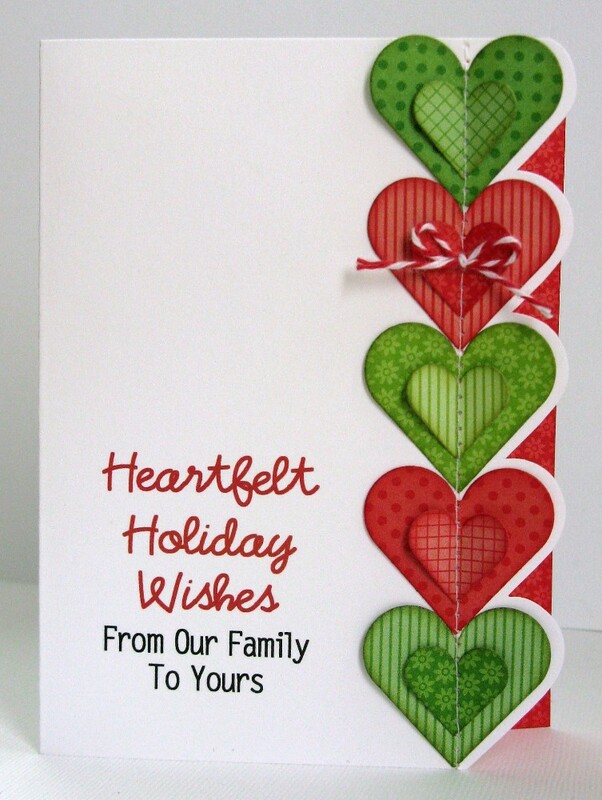 I knew I wanted to line the hearts up along the edge and then cut a shadow along the edge and I got lucky with the hearts squeezing onto an A2 sized card perfectly. To adhere them I used a line of glue with a Zig glue pen and then stitched them down the center so that I could fold up the edges for a little dimension.